PNB Tokyo Branch became the member of Japan Bankers Personal Credit Information Center (JBPCIC) on March/2015. 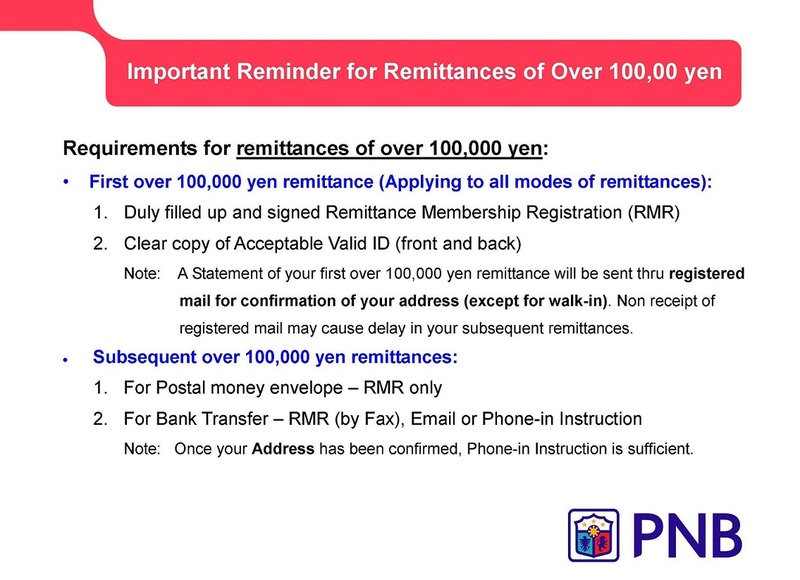 PNB Tokyo Branch shall obtain the consent from loan customers to provide personal data, i.e. credit and financial information to the Private Credit Information Institutions and their members for verification and investigation purpose concerning their OPHL application, as required in Article 23.1 of the Personal Information Protection Law in Japan. Before the member of JBPCIC, PNB Tokyo Branch obtained their consent letters of [Personal Data Information Authorization] to provide personal data, i.e. credit and financial information to the Private Credit Information Institutions and their members, as [A customer authorizes Philippine National Bank Tokyo Branch to release my/our personal data, credit and financial information to any credit-reporting agency for verification and investigation purposes concerning to my/our OPHL program application]. PNB Tokyo Branch obtains consents from all loan customers to provide their personal data to the Private Credit Information Institutions and their members.